1. 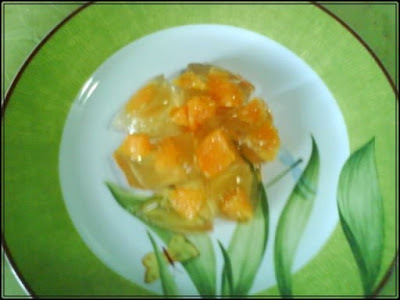 Boil arvi and remove the skin. 3. Peel the onion and make a fine paste of them. 4. In a pan heat oil and fry the onion paste until the oil leaves edges, add all the masala powders and salt mix well and cook for 2-3 mins. 5. Now add the arvi and mix well. Cook for 5-7 mins or until the masala get cooked properly. 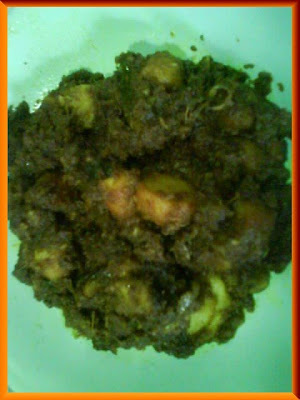 Simple and yummy arvi fry is ready. 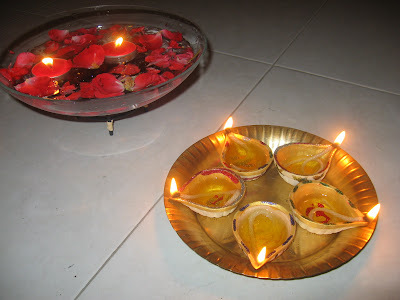 Wish you all Happy & Prosperous Diwali. 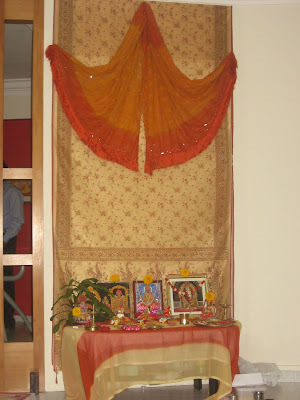 Here in Singapore and most part of Southern India has celebrated Diwali yesterday but in North India Diwali is celebrated today as the main Lakshmi Puja. 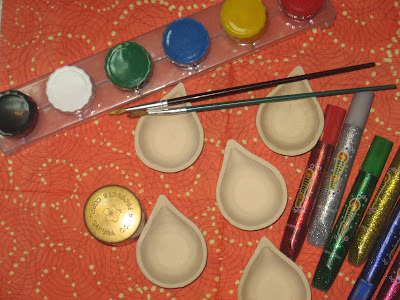 Check here for more Diwali informations. 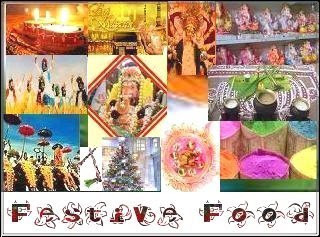 This year has been really special and wonderful we have celebrated Diwali on both the days with much enjoy, fun, glitters & ofcourse yummy food. 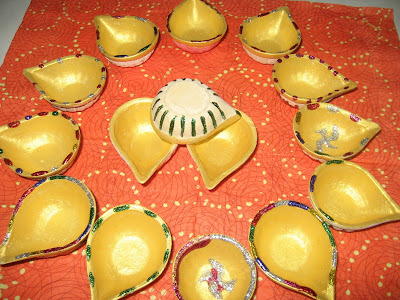 We have decorated some of the diyas ourself, just get some plain diyas use colours, some gliter glue, brush and make decorative and beautiful diyas with any design. 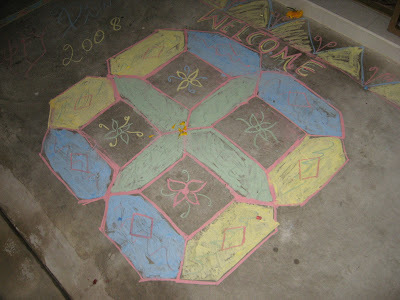 All this are done by Kedar. Let's pray to God and get the blessing for the new year. 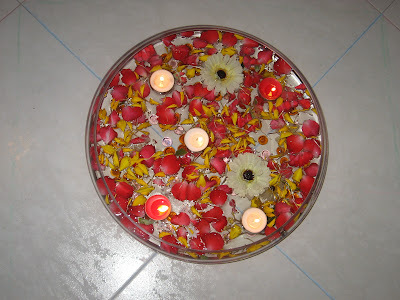 Wish you all Happy Diwali again, and thank U all for your wishes. 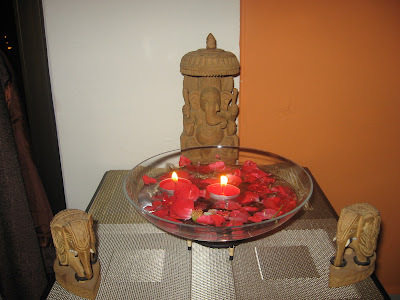 And post is for the FestiveFood: Diwali event hosted by me. Rush in your entries by 6th Nov 08. 1. 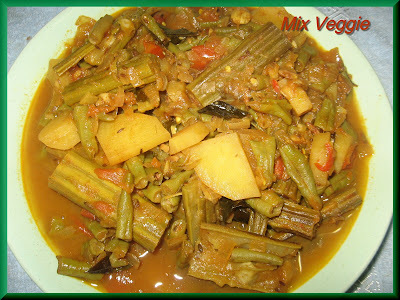 Cut the potato in cubes, longbeans in small pieces and drumstick too. 2. I have pressure cook drumsticks. 3. Cook the longbeans & potato in microwave for 5mins. 4. Chop the onion, green chilli and tomato. 5. In a pan heat oil, add chopped onion, green chilli and saute them for 2-3 mins. 6. Add curry leaves and all the masala powder and mix well, cook for 2 mins. 7. Add potato, long beans and drumstick mix well and cook for 3-4 mins with lid on. 8. Now add the chopped tomato and cook with lid on for 2-3 mins. 9. Add salt and water and mix well. 10. Cook for 5-6mins with lid on or everything is done and the water due to half. It's a simple curry with lot of nutrition due to the veggie and also I used only 1tbs of oil to cook. 1. Wash tuar dal and pressure cook with 1/2 turmeric powder. 2. 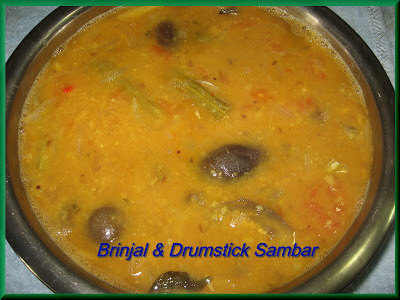 Cut the brinjal and drumstick, either boil them or pressure cook then too. 3. Slice onion, chopped green chili, tomato and coriander leaves. 4. Soak the tamarind in water for 10-15mins and squeeze the puree out of it. 4. Heat oil in a pan, add half of the mustard, cumin seeds and allow them to splutter. 5. Add onion slices and saute them. Add ginger-garlic paste, green chili and curry leaves and mix. 6. Add the chopped tomato and and cook for 2mins. Now add chili powder and mix. 7. Add the brinjal and drumsticks (add any other vegetable as wish) and cook them together for 2mins. 8. Now add the tamarind puree and bring it to boil. 9. Add the cooked dal and and water as required, mix everything and bring it to boil again. Add the sambar powdeer and boil for 5mins. 10. Serve the sambar as it or use other half of mustard and cumin seeds, dry red chilli, and temper them in Ghee. Pour over the sambar and garnish with coriander leaves. 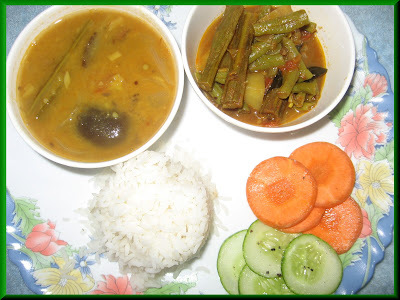 Serve the thali with mix veggie curry, sambar, cumcumber & carrot salad with rice. 1. Chopped the onion and carrot finely. 2. In a pan heat oil, add the bay leaf, add garlic, onion and saute them. 3. 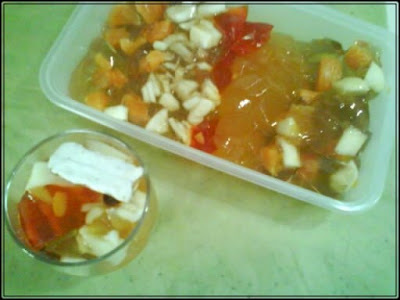 Now add the chopped carrot and saute for 5mins. 5. When the carrot comes to room temp, make puree of them adding 2-3 cups of water. 6. I cooked the puree again for 5-6 mins, adding salt and pepper to taste. After tasting the soup I thought it's too thick and it's better to filter them. So, after boiling the soup I filter it !! 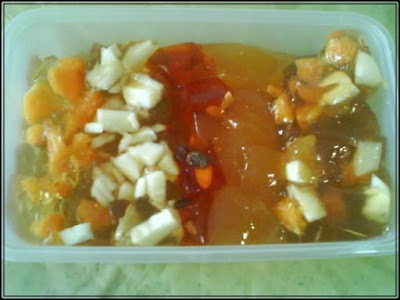 (If you think there is a need to filter the soup then you can do it before boiling it). 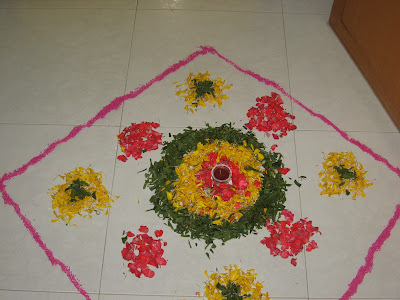 I did not add any corn flour as I didn't find that neccsary. 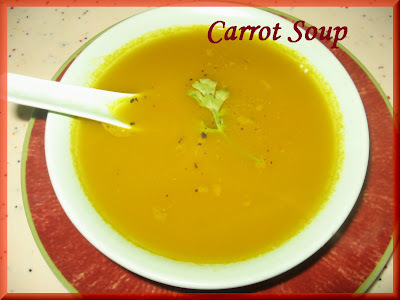 Soup was simple, yummy and filling. 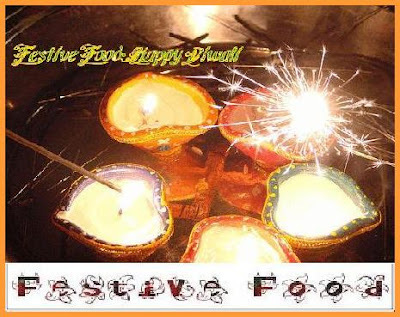 And ya check out the Festive Food: Diwali Celebration details too. 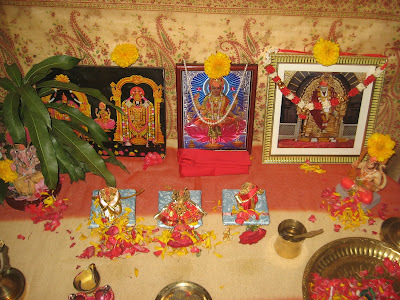 This is my 50th post...I have completed half-century! Man it feels gud, it took me almost 5 months to reach here ;). I never thought I will come this far with blogging but to my amusement I have made it. Thanks a ton to all the regular visitors of my blog whom always showered me with their sweet & encouraging comments, and Big Thanks to the people whom visits my blog. So how to celebrate the 50th post? Well, I thought to revise one of my own entry for that :-). 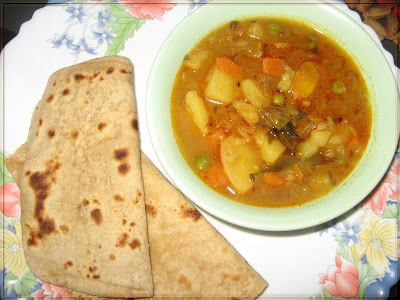 So here is the Aloo Tari with carrot and peas. 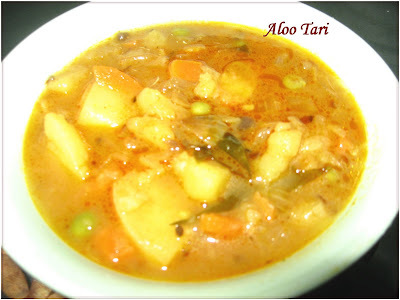 Remember my Aloo Tari post? No? Never mind here is the link, check that out ;) So I made the Aloo Tari again but this time added carrot and peas too and it was just yummy. Followed the same procedure as written in the previous post just added 1/2 cup chopped carrot and 1/4 cup frozen peas after step 3 and the result was delicious. 50th post celebration and no sweet? Na, I do have one sweet dish to share with. 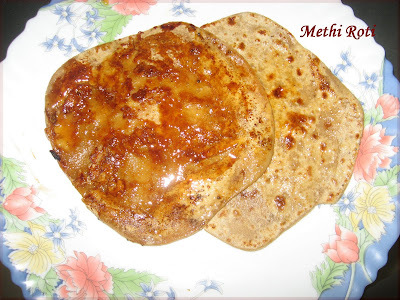 This is call Methi Roti. Make regular flour dough and roll them. Now add 1 tbl of jaggery pieces close the edges and roll them again. Be careful while rolling this time if not it will start breaking. Cook it both the sides on a hot tawa and apply oil/ghee. 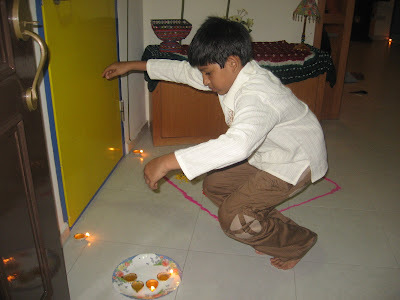 After the roti gets cooked it will become stick due to jaggery. Do not eat is very hot or the you will end up burning your tongue. 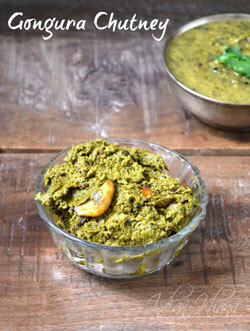 Let it cool down a bit and then enjoy this simple but yummy methi roti. We have celebrated Eid yesterday here in Singapore and here in SG it called as 'Hari Raya' and we all went to Singapore Zoo ;) and had a gud day. 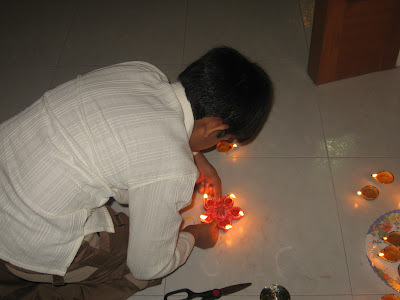 Eid is always associated with Seviya. During my schooling days my friend use to invite many of us to her place to celebrate Eid and we were happy to go to her home to eat all the goodies. Also there was huge tiffins of seviya, halwa, puri, sabji, biryani used to come from my Dad's staff house ;). Yes it always been purely eating pleasure. For Eid I wanted to post something sweet but since I do have Seviya already mention here so thought of posting this simple but wonderful cake.I couldn't control but try right away the cake. 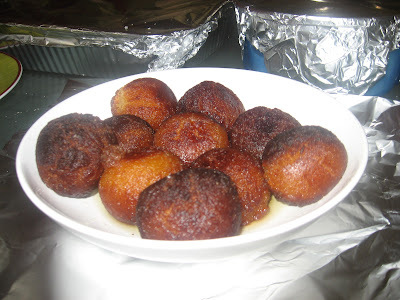 This cake is the second recipe after my Dates Ladoo that I have make the dish immediately. I have followed everything as per the recipe with minor changes and this one was the best cake so far from my baking experiment ;). Soft & delicious and no one guessed it's dates cake. Being eggless is also plus point in this cake, I have use almonds, cashews for garnishing that's all. 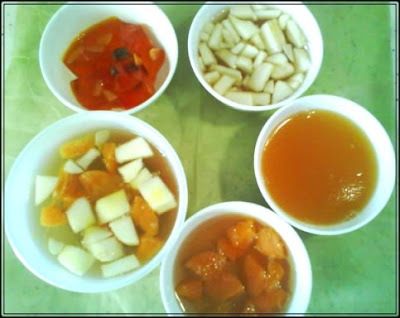 The original recipes is from Aayi's Recipes. 1. Soak dates in milk for 10-15mins, (this is optional) remove seeds if any. 3. Sieve the baking soda and flour together and keep aside. 5. Mix the flour in small quantity in to the dates & oil paste. Add the remaining milk into the dough, if any. 6. Add half of the cashews and almonds and mix well. 7. Grease a baking dish and pour the mixture. 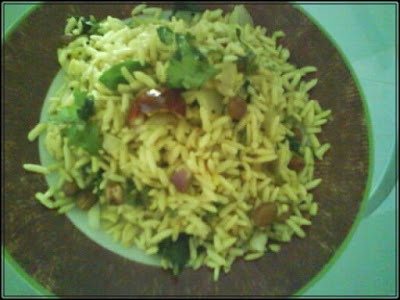 Garnish it with remaining almonds, cashews. 8. Bake for 30-35mins in preheated oven on 200C. The cake was very different and yummy, I give my thumbs up for the cake.